Can the Arab Muslim world recapture the inclusive spirit of Cordoba? US President Barack Obama harked back to this period of Islamic enlightenment, innovation and tolerance in his June 2009 Cairo speech, in which he attempted to redefine the relationship between Muslims and the United States. Hisham Melhem, a prominent Lebanese journalist, recalls an emotional visit to the Great Mosque of Cordoba in southern Spain last May. With tears in his eyes, he found himself wondering how the Arab Muslim genius of a thousand years ago had veered in modern times toward such chaos and repression. What happened to this sublime culture? That question of lost greatness has vexed Arabs for centuries, and it was painfully visible last week as Egypt lurched forward into a new moment of bloodshed and political turmoil. Egyptians yearn for the greatness of a past that produced the glorious pyramids and tombs of the pharaohs, and later made Cairo’s al-Azhar mosque the arbiter and guardian of Sunni Muslim theology. What Egyptians find in the present is a revolution that, over the past two years, has been devouring its children, secularist liberals and Muslim Brothers alike. Talking about this unfolding tragedy in Egypt with Melhem, I thought he was right to focus on the openness and tolerance of the Moorish kings of Andalusia. It was this sophistication that gave Cordoba its reputation as “the ornament of the world.” It wasn’t only Muslims who prospered in 9th century Andalusia, but Jews and Christians as well. The Cordoban spirit of pluralism was described by Maria Rosa Menocal in her 2003 book, “The Ornament of the World: How Muslims, Jews and Christians Created a Culture of Tolerance in Medieval Spain.” She described how the Arab Muslim rulers of the time promoted a freedom of thought that, in addition to producing great art and the beginnings of modern mathematics and science, also allowed other religions to prosper. This ethic of tolerance — so central to the zenith of Muslim culture — is precisely what seems missing in so many Arab countries today. The political culture is broken. Politicians on all sides lack the confidence that allows compromise and moderation. Politics is a zero-sum game, and everything is a fight to the death, whether it’s in Cairo, Damascus, Tripoli or Baghdad. Recent events in Egypt underline the problem: If it’s not the Islamic authoritarianism of the Muslim Brotherhood, it’s the repressive dictatorship of the military. There seems no middle ground. Arguing for tolerance and moderation at a time when Egyptians and Syrians are slaughtering each other may seem like folly, but it’s grounded in a practical reality. To rediscover the golden age symbolized by “Al-Andalus,” the Arab Muslim world must recapture the inclusive spirit that sustained Cordoba and Granada. Otherwise, the broken political culture will not mend. Islam The Empire of Faith a good documentary of chronological events. Its a hour long documentary . Please watch it on Youtube video in the following link. Modern science peels slowly away at the history … and we realize how much ‘religionists’ can change the events of human life on the planet. And what they can do to generations. If you have seen the most recent 2-hr Documentary on King Tut (there have been many) and the changes of religion his Father had tried to make (decreed) before his death – which left the ‘boy-king’ in the hands of an older religionist (Father’s advisor) who didn’t like the ‘new’ – (who also became the next King) – you will see that the extrapolation of bits of information gathered properly can peel off the mysteries of 3000 years, no matter how ‘future-builders’ of 3000 years ago tried to obviscate or bury it. Even the fact of that ‘tomb’ still being largely intact is explainable – given the effects of nature on landscaping in the short-term, let alone over millennia. That we HAVE some very fine examples still standing, of the abilities of past human societies, is perhaps a miracle in itself, given the modern examples of ‘religionists’ such as the Talibanis going around attempting to destroy any evidence that there was ever anything before ‘them’ and their version of a god. Our advantage NOW is the recording ability. Protect that. The analysis has been published in the journal, Internet Archaeology. Thanks for sharing the link….watching the video. 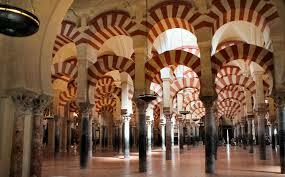 What happened to this “sublime” culture from the time of Al-Andalus and trhe wonders of Cordoba till today ? I have the answer to you: This culture that was conquering new nations inhabited mainly by Christians and Jews was taking advantage of the intellectuals from the jews and christians in order to elevate their status and produce the wonders of that time and for this reason and only for this reason that muslims were “tolerant’ towards them. If today 10% of Syria is Christian, before a thousand year probably it was more than 50% christian, same story in Irak, Palestine, Egypt, Algeria, Morocco and Andalusia. The question should be re-asked as: What happened to this stolen sublime culture ? What happened is that the christians and the jews are no more in the picture socially and politically to produce those wonders. Add to that the information technology that is highliting in a flagrant manner the failure of muslims and the muslim society in creating a sane, normal, spontaneous, free individual who thinks, creates and wonders. This is what happened to this “sublime” culture Mr. Hisham Melhem. The TRUTH is finally revealed. From now on this culture is on a high speed downward escalation, like a snow ball. Just take Lebanon as an example compare Lebanon in 1960s when christians were dominant and Lebanon of today and the mess we are in all because of Islam (directly or indirectly), or just take the Christian areas in Lebanon today and the muslim areas. There is not one single place with muslim majority in Lebanon that is not troubled or tense. So this article is a crying on the glorious past nothing more. This past that will never come again for sure. I totally agree… It is about a culture long lost which mingled with others and did not suppress them like what Islam does today.